Today we are pleased to announce the release of two exciting new features for Nimbus Note: workspaces and group work. These features make it easier than ever to organize your notes and collaborate with others. One of the main principles of successful and productive work is proper distribution and categorization of information. You have different projects and spaces in your life, such as personal and business, that need to be kept separate. 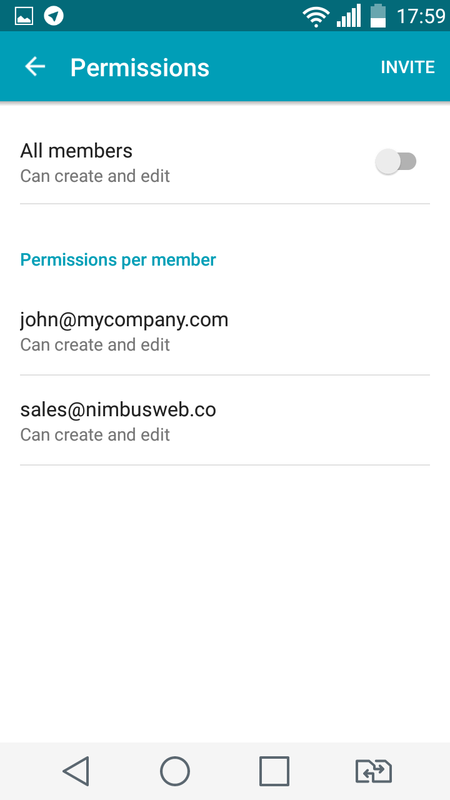 To help you do that, we present a new and crucial Nimbus Note feature: Workspaces. As a Nimbus Note user, you already have a default workspace that includes all your folders, tags, and notes. You can now create additional workspaces, and in each workspace you can create a new set of folders, tags, notes, reminders, colored labels, etc. Each workspace is independent from the others, so all the contents will be unique to that workspace. For example, you can keep work-related information and personal information distinct by giving them separate workspaces. Each workspace will have its own set of folders and tags, allowing you to move back and forth from work to home without mixing up information. Before, to solve these problems, users had to resort to different tricks, such as creating separate accounts. Workspaces solve this issue once and for all! Another important innovation is group work. You can now invite others to collaborate on your folders and notes. For example, you can share notes with your colleagues or share shopping lists and to-do lists with your family members. Students can share lecture notes and educational materials with classmates. Small teams can share documents and work on projects together. At the moment, group work is available for an entire workspace only. We are working to also make individual folders and notes available for sharing. – Read Only: User will only be able to read notes and comment on them. 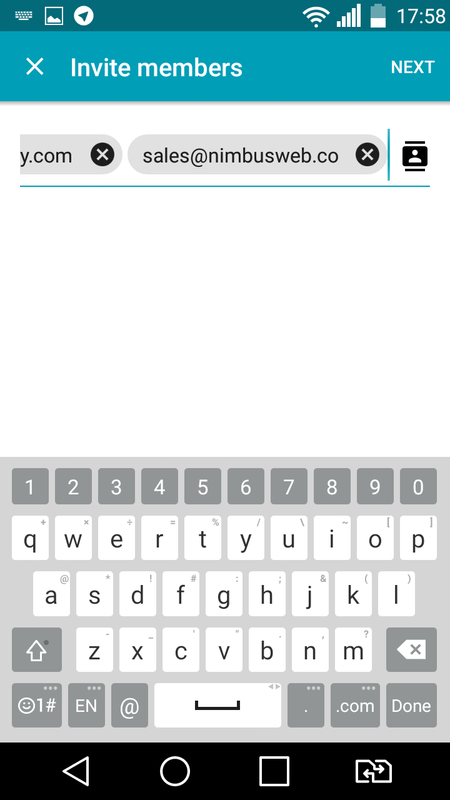 – Edit: User will be able to work on notes – read, edit, comment on, and even delete them. – Admin: User will have all the privileges of an Edit user, and they will also be able to invite others. Once a user accepts your invitation, they will have access to the shared workspace, where they can work according to their access permissions. 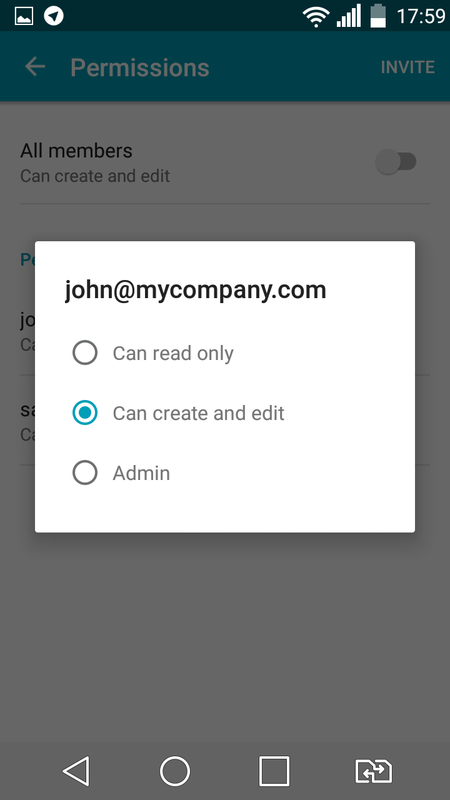 You can revoke a user’s access, or change the type of permissions originally assigned, at any time. 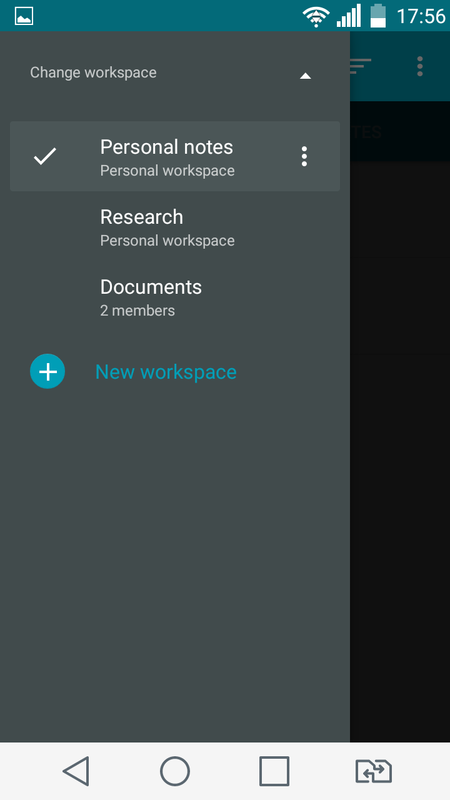 Important: At the moment, workspaces and group work are available only to Android and iPhone mobile device users. Other clients will be added soon.